Villa Park has two Sears houses across the street from one another on Myrtle Avenue. Both homes were built about 1923. The first house is a rare Sears Sherburne. 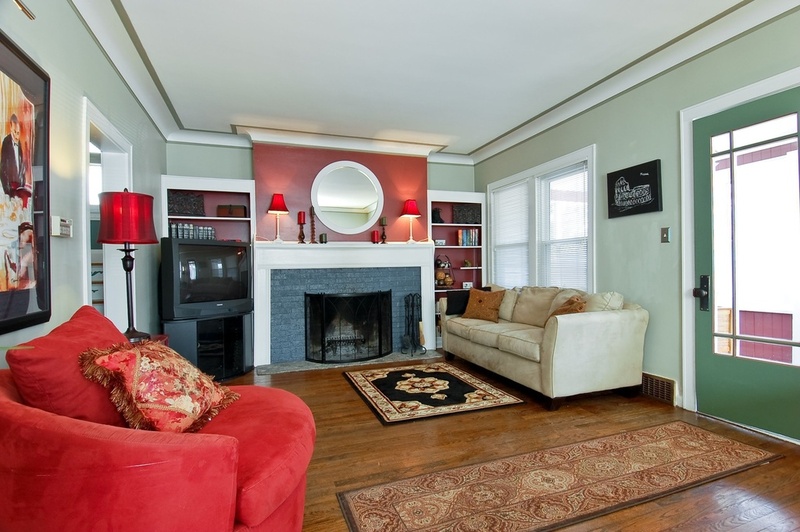 318 S. Myrtle, Villa Park. The Sherburne as delivered had a wood shingle exterior with sections of Stonekote (cement plaster). This Sears Sherburne has gone through a lot of changes. The porch has been enclosed, much of the detail work in the front is gone, and the house has aluminum siding. One of the distinguishing features of the Sherburne is the bumpout on the right side for the stairway. This is barely visible in the photo I took (I couldn't navigate around that pine!). 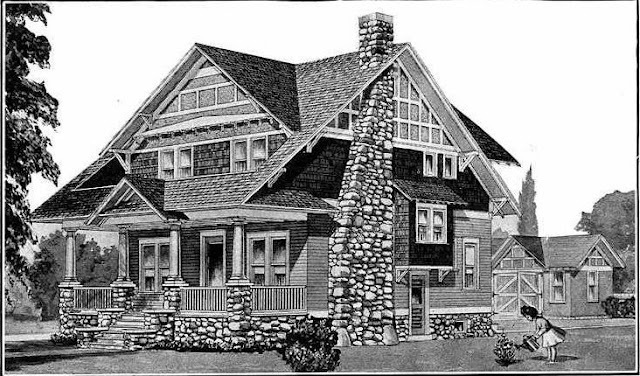 The Sherburne has eye-catching cornice returns on the porch roof, which remain on the Villa Park house. The bumpout on the left side is for the dining room. The living room in the Sears Sherburne. That is the original Sears front door. The original owners of the Sherburne were Edmond J. and Nina McMurray. Edmund and Nina paid about $12,000 for the house. Edmund was a "commission man" for a dry goods company. The McMurrays had moved out by 1935. The second house is across the street--a Sears Sunbeam. 321 S. Myrtle, Villa Park. Sears Sunbeam, from the 1923 Modern Homes catalog. The distinguishing features of the Sears Sunbeam are its imposing tapered pillars. The predecessor of the Sunbeam was the Sears Elmwood. 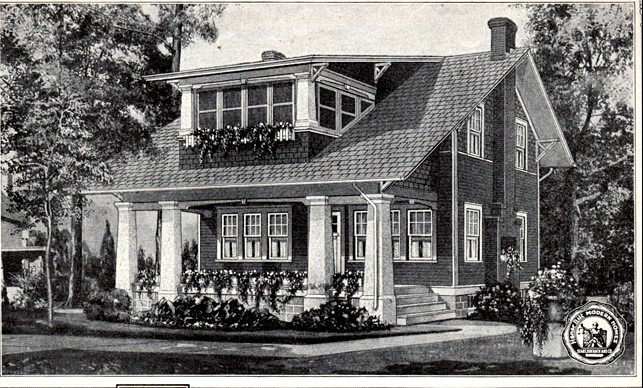 The Elmwood came with the second-floor sleeping porch open; the Sunbeam came with the sleeping porch enclosed. By 1923, when the house in Villa Park was built, the Elmwood had been phased out of the catalogs. The original owners of the Sunbeam were Warren W. and Florence Morrow. Warren was a telegrapher for Western Union. The Morrows moved out by 1935. Awww, my dad worked for Western Union his whole career, starting off as a 16-year old delivery boy on a bike :) Nice to see that connection. Great models, these two -- nice work, Lara! Very nice article. I was told by my co worker that this had been published. I am the current owner of the Sherburne home on Myrtle.